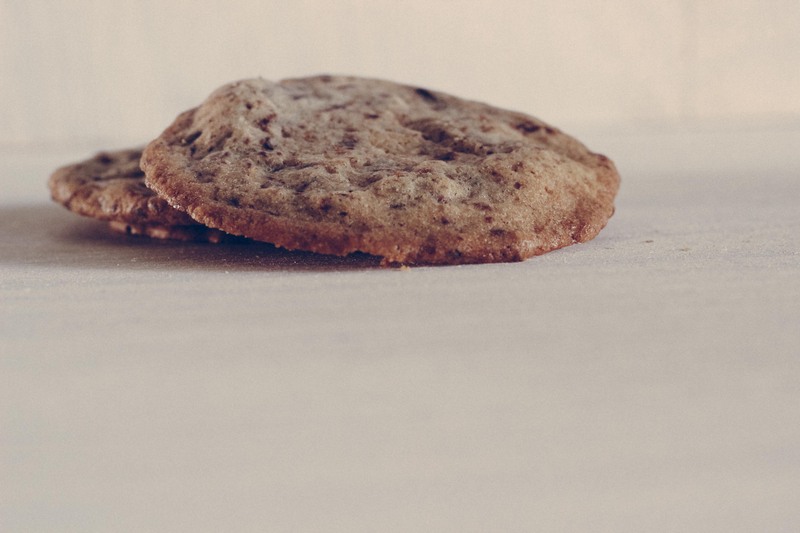 I love a good chocolate chip cookie. In fact, I have probably posted at least one other variation of this recipe with different beers and a few different options. A good versatile recipe really can allow you to throw whatever you have in your pantry that strikes your fancy into your dough. 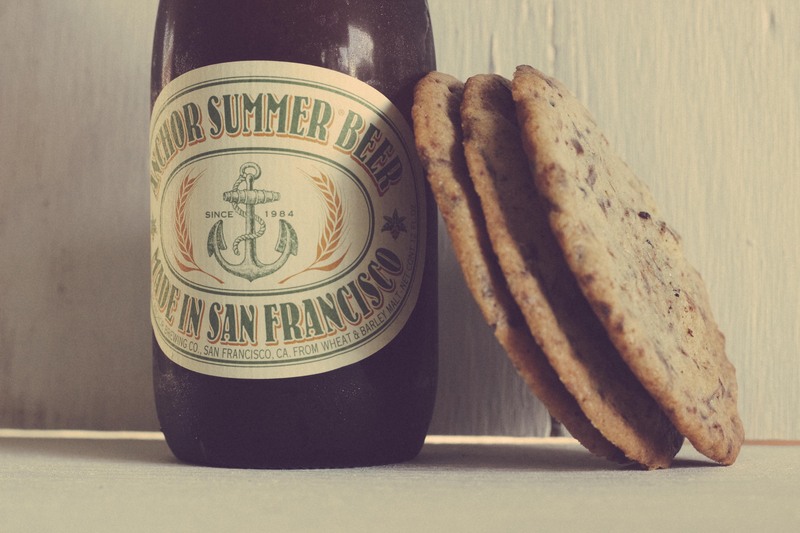 This time around I wanted to showcase Anchor Brewing’s Summer Beer paired with cocoa nibs and dark chocolate and vanilla bean sea salt. 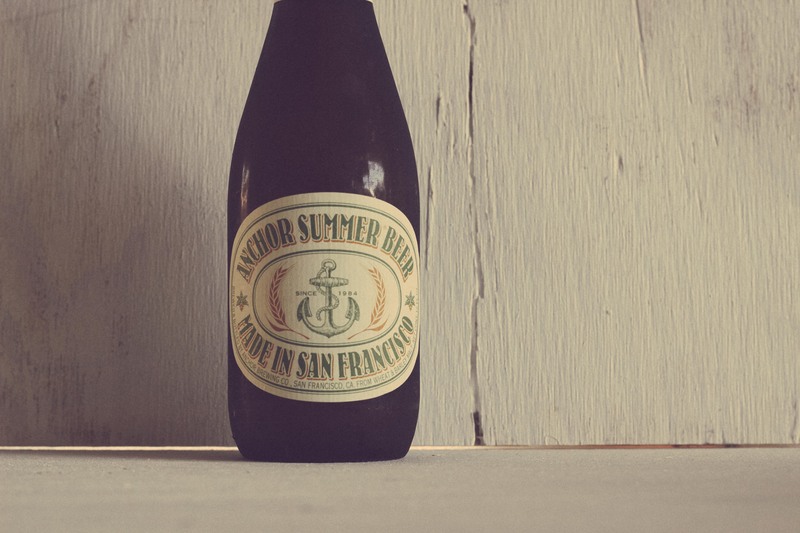 Anchor’s Summer Beer is the perfect blank canvas to build around with its malty sweetness and wheat-enhanced body. 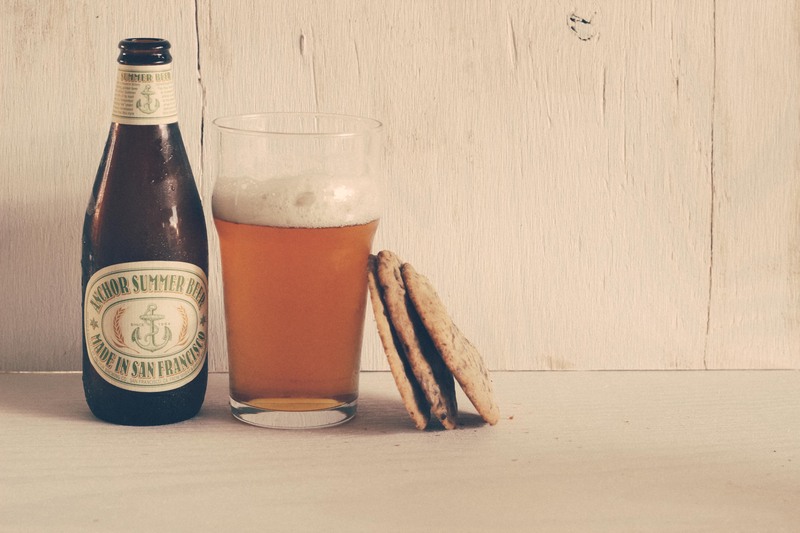 The beer is so light and refreshing to drink but is complex enough to keep you coming back. 1. Heat oven to 350 degrees F. Whisk flour and baking soda in a bowl and set aside. Cream butter and both sugars together in a stand mixer with the paddle attachment until light, about 3 minutes. 2. Add salt, vanilla, eggs and beer into the butter mixture and mix until combined. Slowly add in the flour mixture until just combined. Fold in the chocolate chips/chunks and cocoa nibs with a spatula. 3. Using a cookie scoop or a large spoon, drop balls of dough on cookie sheets with either parchment paper or a silpat spaced about 2 inches or more apart. These cookies will spread pretty thin. Cook for about 20 minutes, rotating once throughout the process. Let cool on cookie sheets for 10 minutes then transfer to wire racks to continue to cool. These cookies were awesome. 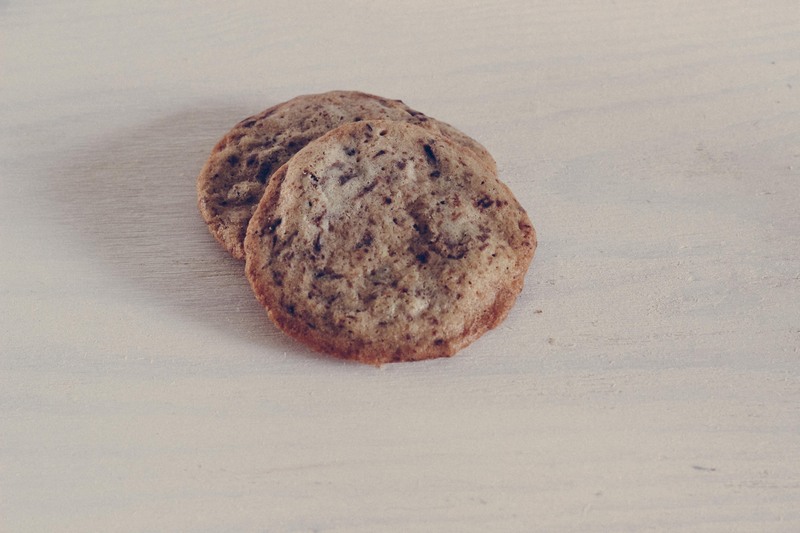 I have a sweet nostalgic spot for a good chocolate chip cookie and the crunch of the edges coupled with the cocoa nibs makes for a texture worth savoring. The beer adds a counter-point to the bitter dark chocolate and lends a deft balance that was delicate and impressive. Cheers! Those cookies look so perfect. I love to have a bit of crunch and crispiness on the outside, then a nice soft chewy centre. 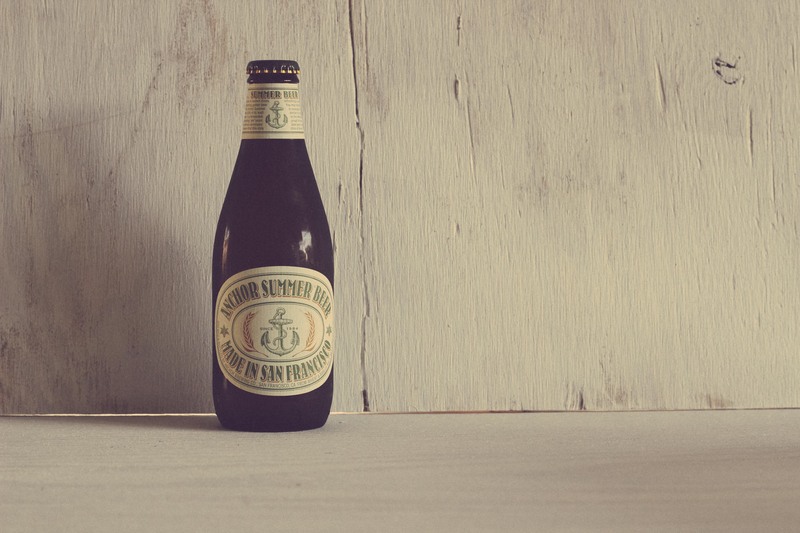 That Anchor beer sounds amazing too!